Sailing is our passion ! Early Booking still till 28.02.2019. Join us ! Are you thinking about renting a boat ? What are you waiting for ! We are perfect choice to provide your yachting holiday in Croatia and on the Mediterranean one to remmember. In our huge offer we have boats for rent situated in major embarkation marinas on Croatian coast. Our service is based on sailboat charter with or without skipper, motor yacht charter, catamarans with or without a captain, gulet cruise and luxury yachts with a complete crew. We are proud to say that – Sailing is our passion, after many years of work and nautical experience collected. We offer cruising vacations, based on your specific interests and needs as every our Guest is important to us. Our clients which are coming back again through Adriaticum Sail charter company are our best marketing. Take your time and hire a boat in the most asked destinations: Croatia, Greece, Italy, Turkey, Spain, Thailand and Seychelles. Look at some nice recommended itinerary possibilities or make your own one. Contact us and we will be glad to make you our best offer possible ! Choose from the selection of Luxury yachts, Sport Boats, big catamarans with a skipper, Exclusive Mega yachts with professional crew! 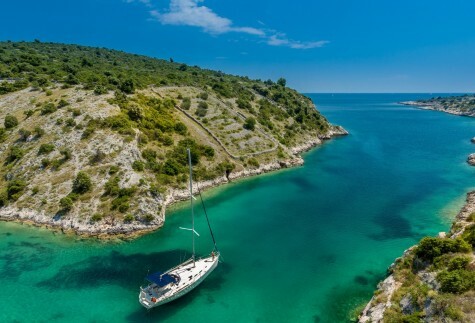 Adriaticum Sail is a reliable Croatian Yacht Charter company which offers you comfortable and safe holiday as well as the ideal super motor boat charters for your summer vacation. So join us to have unforgettable memories on a vessel of your dreams ! Visit Croatia, a European country surrounded by hundreds of islands of the Adriatic sea – an ideal destination for your vacation. Our fleet is moored in few Croatian embarkation ports. We offer to the clients and travel agents yacht charters service with a good maintenanced in order to provide pleasurable boating vacation. Charter a sailboat, motoryacht, an catamaran or gulet and sail from any port you like. Pula, Veruda, Rovinj, Vrsar, Umag, Opatija, Punat – Island Krk, Cres, Mali Losinj, Zadar, Sukosan, Biograd, Pirovac, Murter, Sibenik, Primosten, Rogoznica, Tribunj, Vodice, Trogir, Kastela, Marina Split, Seget Donji, Baska Voda, Makarska, Dubrovnik. We are proud to offer many cruising possibilities on our rental yachts with an early booking discounts, last minute discount, special charter offers, low charter season prices, one way and others. Prices are in Euro per week. For yacht hire more than one week there are extra low rates to offer, as for the repeat client as well. Beside you will find some nautical informations, suggested itineraries and boat rent conditions if you decide to hire a yacht in Croatia. OUR YACHTING SERVICES – Why to choose us ? Regardless type of a cruise and starting marina you will get an offer in 24 hours with an best deal !